When things go wrong don't go blue. 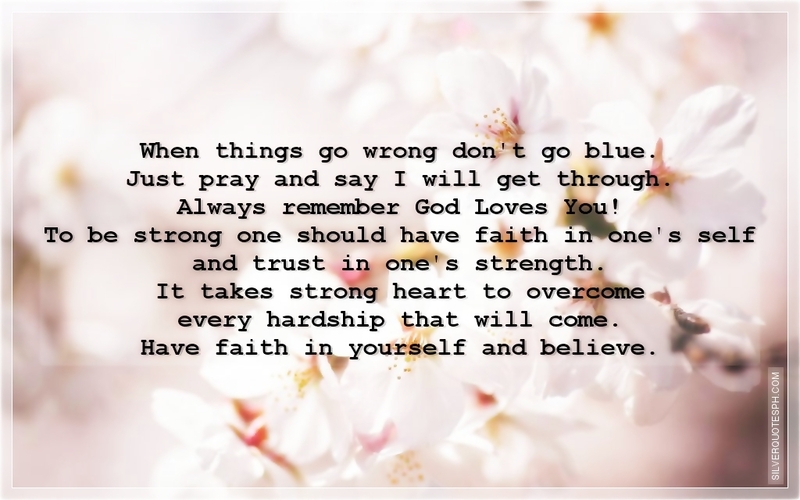 Just pray and say I will get through. Always remember God Loves You! To be strong one should have faith in one's self and trust in one's strength. It takes strong heart to overcome every hardship that will come. Have faith in yourself and believe.